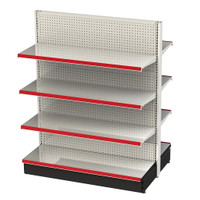 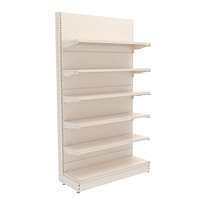 This our standard economic grocery store shelving, come in variety if widths, to fit your available space. 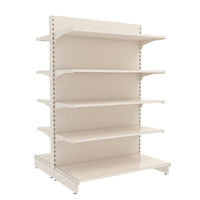 And with various shelving option. 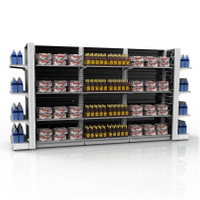 All of our grocery store shelves have a high quality finish. 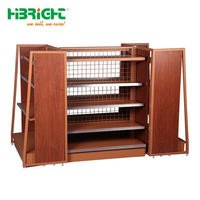 This ensures a long lasting product and make retail gondola easy to clean for hygiene. 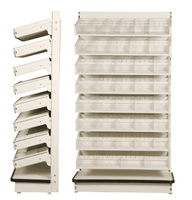 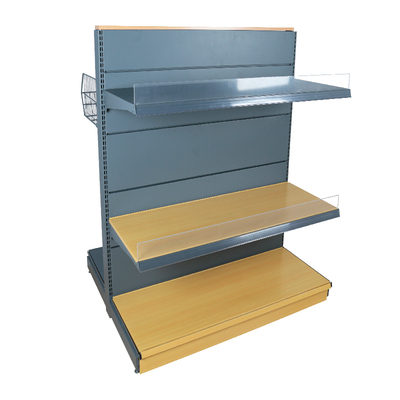 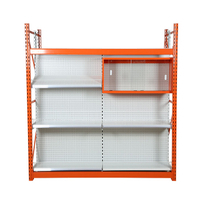 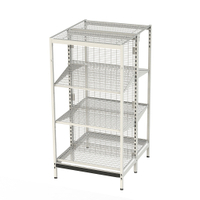 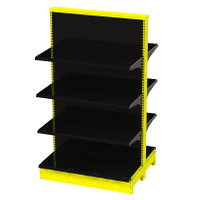 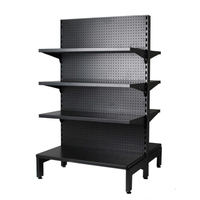 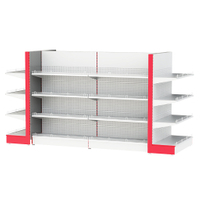 Both retail wall shelving or Island section available.